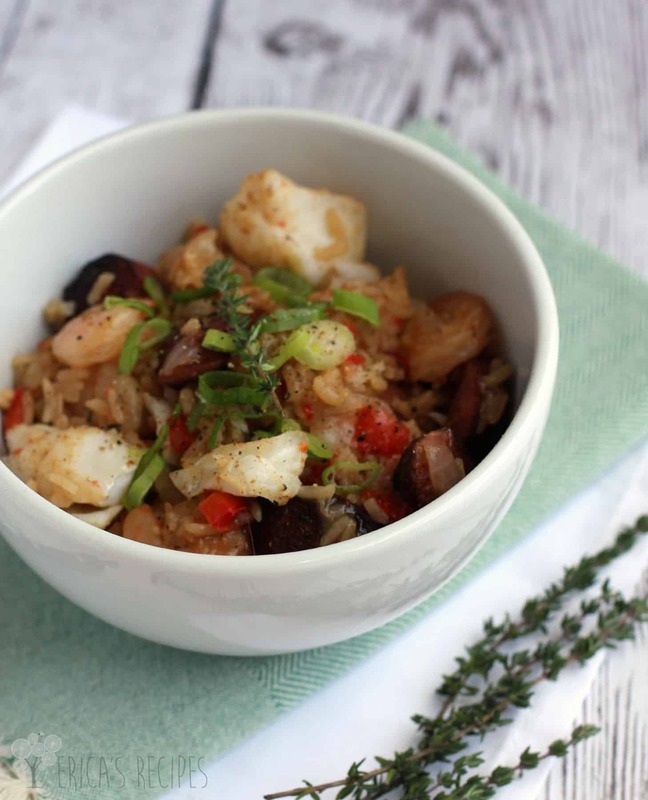 Succulent cod and shrimp combine with spicy sausage and seasoning to make one perfect Seafood and Sausage Jambalaya. Originally, I used crab because I had seen that in another recipe somewheres. But crab was just too overpowering. Then I moved on to mussels, which tasted alright but made this very hard to eat. Don’t put mussels in rice dishes. Just don’t do it. But then I tried shrimp. And then I added cod. And there it was. This recipe is case in point that sometimes, you just gotta plug away at a it and get it just right. 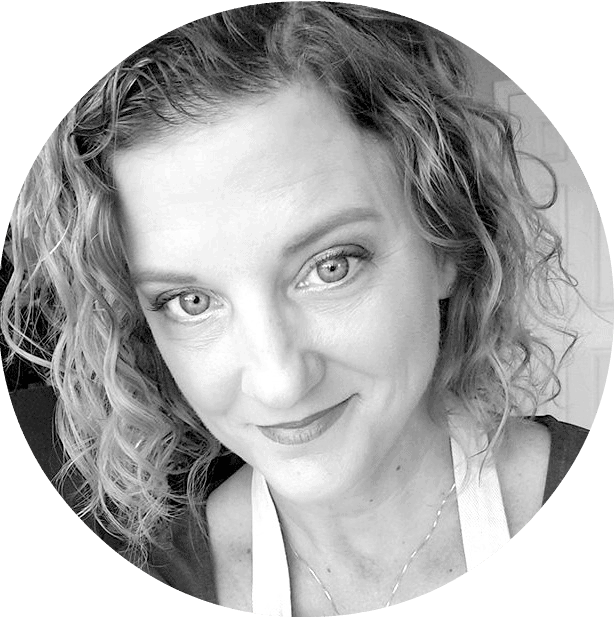 I am over-the-moon happy with this one here. Give it a try and let it become a favorite of yours too. Toss the shrimp in 1/4 t each Old Bay and creole seasoning. Set aside. Separately, do the same with the cod. In a large, heavy pot, heat the olive oil. Add the sausage and cook over high heat, stirring occasionally, until well browned. Add the veggies and season with a pinch each salt (to get them to soften) and pepper. Cook, stirring regularly, until softened (~5 minutes). Add 1 t Old Bay, 1/2 t creole seasoning, and rice. Add the chicken stock and thyme; season well (at least 1/2 t salt), and bring to a boil. Use a wooden spoon to quickly scrape up the browned bits from the bottom of the pot. Cover and cook over med-low heat for 10 minutes. Stir in the shrimp. Layer the fish on the rice, recover, and cook ~10 minutes until rice is cooked. Yield: 4-6 servings. 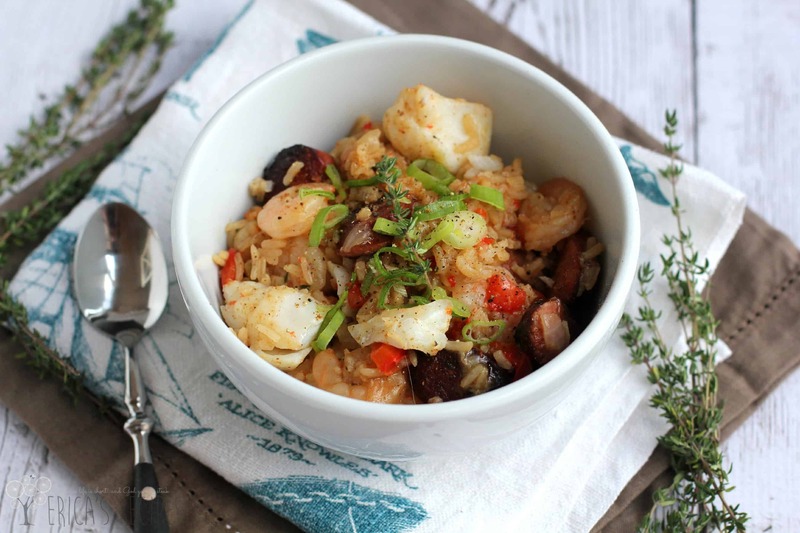 I’ve never had Jambalaya, I think I need to try this now. This looks perfect! 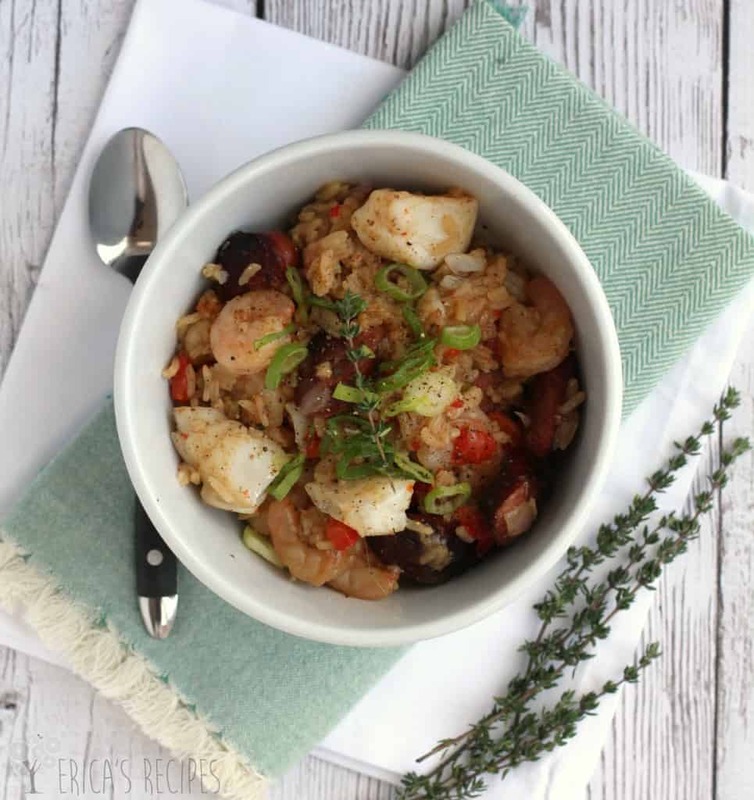 I love a good jambalaya, have to try this next week. This is such a beautiful bowl of jambalya. I can almost smell this! What a great looking meal! This looks perfect! I really have to try it! 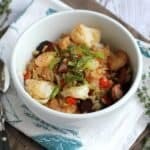 My family loves a good jambalaya recipe! Love the sounds of this one. I’ll have to make it for them sometime! All that seafood goodness sounds wonderful. Gorgeous pics too. Wow – this looks and sounds really great! Practice really does make perfect! Love me some Cajun. Delicious. Does anyone have a comment who actually made this recipe?